Quiet times and solitude are part of recovery. 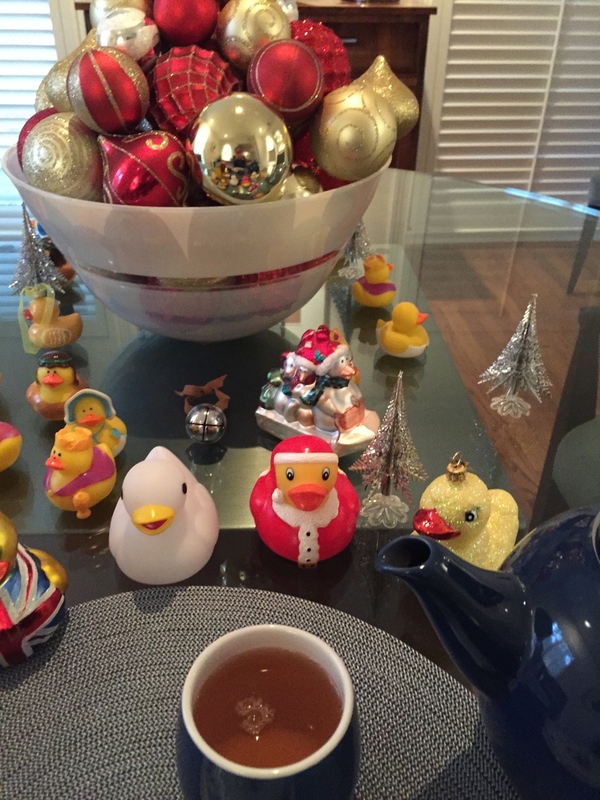 A gift of David’s Teas, including Buddha’s Delight results in a tea party with my four new Christmas ducks, the last piece of the Christmas Stollen placed upon a Bavarian china plate from my grandmother. Taking time to make new memories by savoring each morsel and sip of hot tea while listening to Christmas carols. 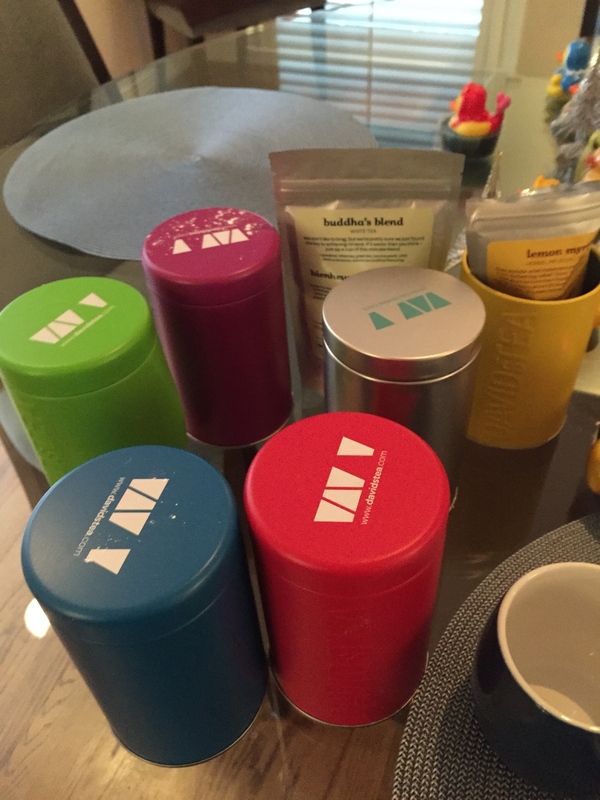 The array of colorful tea canisters and favorite blue teapot and cups are from loved ones who know well my love of tea and need for quiet times as I heal.